Brazil’s new President Jair Bolsonaro sat down with American media after his meeting with President Donald Trump Tuesday. He discussed his desire to “make Brazil great” and how he owes his life “to God” after being stabbed on the campaign trail. Brazil had been ruled by politicians from the left for years, and Bolsonaro is the country’s first conservative leader in its democratic era. Brazil’s new president, Jair Bolsonaro, wants to “make Brazil great” and says he owes his life “to God” after being stabbed on the campaign trail, according to his interview with American media following his meeting with President Donald Trump Tuesday. 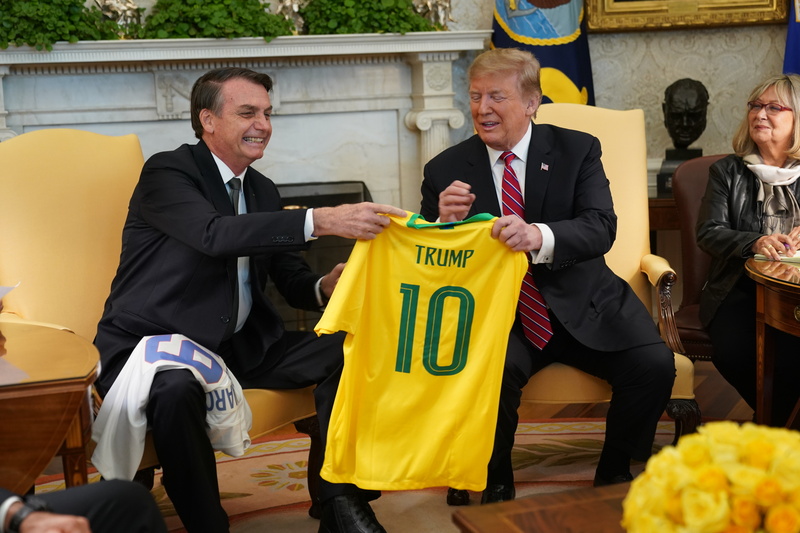 The U.S. and Brazil have had a fraught relationship in the past, but Bolsonaro and Trump want to turn over a new leaf. They have not, for example, ruled out cooperating in military action in Venezuela, where socialist dictator Nicolas Maduro’s regime is in turmoil. Bolsonaro’s election marked a turn in his home country as well. Brazil had been ruled by politicians from the left for years, and Bolsonaro is the country’s first conservative leader in its democratic era, reported CBN. “It is time to overcome old resistances and explore the very best potential between Brazil and the United States. After all, it is fair to say that today, Brazil does have a president who is not anti-American,” Bolsonaro said in the White House Rose Garden Tuesday, according to CBN. Bolsonaro is only three months into his first term and has been nicknamed “Trump of the Tropics” for his brash rhetoric and desire to bring conservative reform to Brazil. Bolsonaro’s critics claim he uses “misogynistic and homophobic” rhetoric and wants to take away land rights from indigenous people. The Brazilian politician also discussed the stabbing that almost cost him his life when he was a leading candidate in his country’s presidential election in 2018. The man who allegedly stabbed him was a former member of a socialist political party and sympathizer of radically left leaders. “Doctors who attended to me said that for every 100 stabbings of the kind I endured, only one person survives. So, I am a survivor and owe my life to God. It was His will for me to live,” Bolsonaro told CBN. Prompted by Bolsonaro’s White House visit, progressive U.S. lawmakers piled on criticism of the Brazilian leader after decrying U.S. action in Venezuela against Maduro. “We must call out human rights abuses worldwide,” concluded Omar, who is on the House Foreign Affairs Committee. This was not the first time Democratic lawmakers expressed concerns about Bolsonaro. California Rep. Ro Khanna, former Minnesota Rep. Keith Ellison (whom Omar succeeded) and 16 others wrote a letter to Secretary of State Mike Pompeo calling Bolsonaro a “far-right extremist” before his election, reported Politico. They also claimed Bolsonaro said he would not accept defeat should he lose the election. 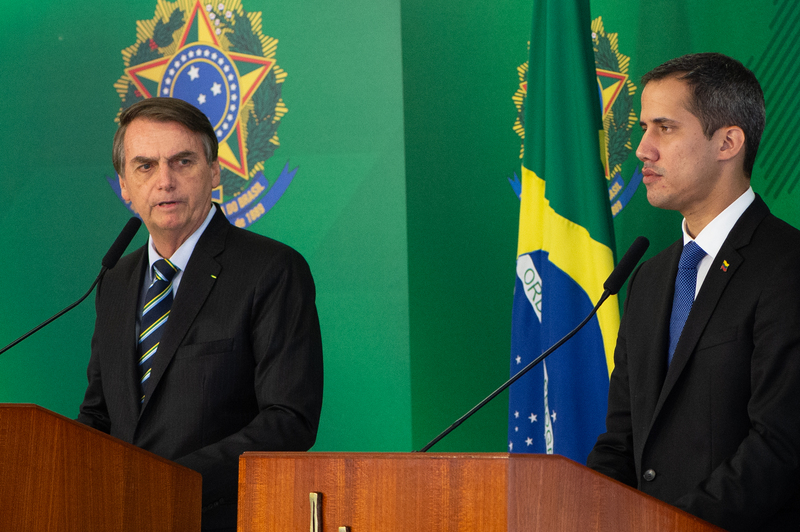 Brazil recognized Guaido over Maduro in January. Maduro compared Bolsonaro to former German dictator Adolf Hitler in a speech on Jan. 14 after he questioned the integrity of Venezuela’s elections.